AnnaLaura and Scott were married at the Sutherland, and their fall wedding was the perfect mix of classic and modern. 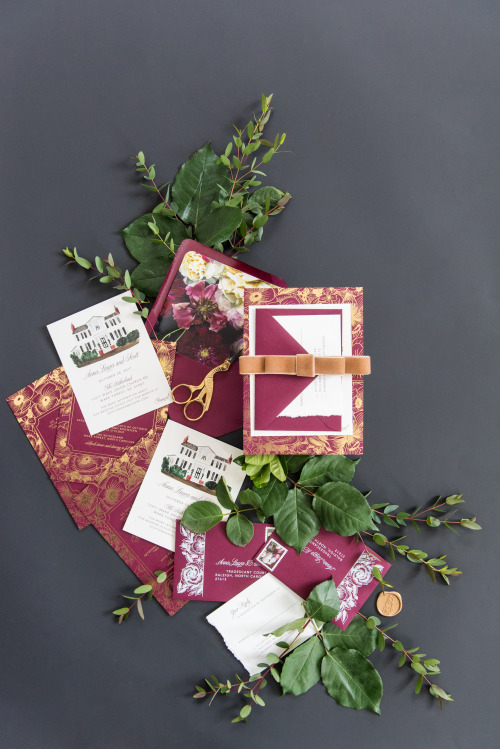 For their invitation, we knew we wanted to use a burgundy paper. 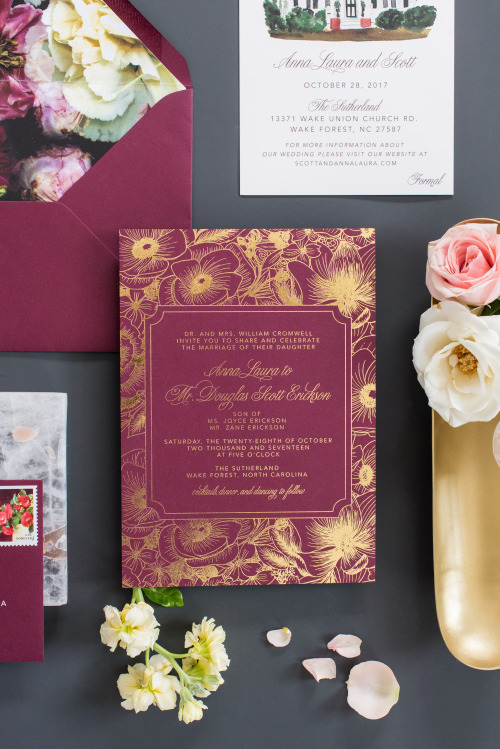 I created lush illustrations of AnnaLaura’s favorite flowers and used gold foil to create a really stunning ‘wow’ moment for the invite. What kind of wedding day stationery do you need? Wedding day stationery can be a lot to wrap your head around. There are a lot of options, and it’s not like an invitation, where there are necessary components. 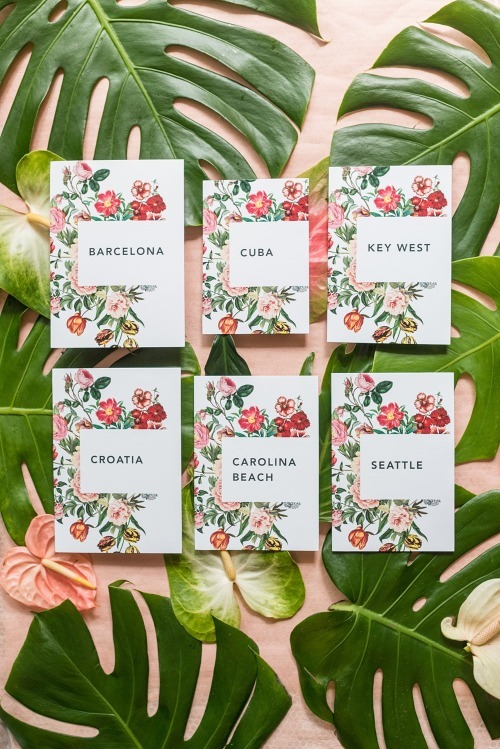 For example, you don’t NEED a welcome sign, but you definitely need a way to let your guests know where and when your wedding is.